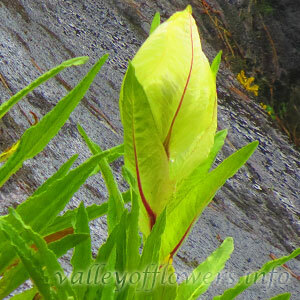 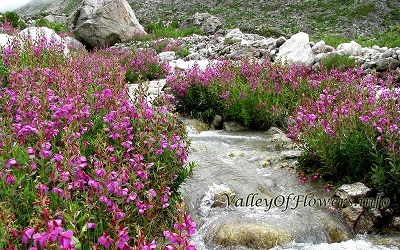 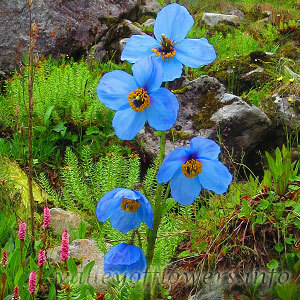 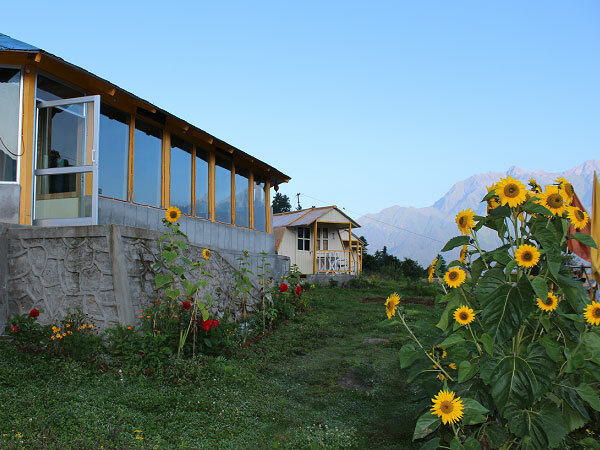 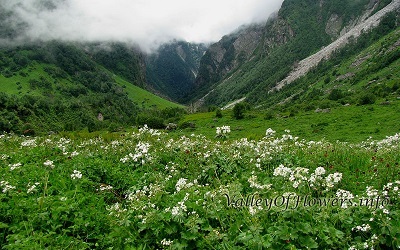 Home › Valley of Flowers Gallery. 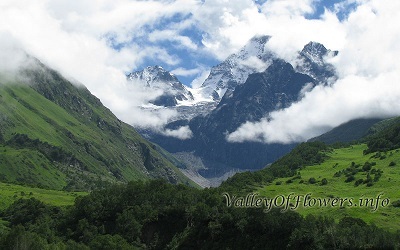 Glacier near the entry gate of the valley. 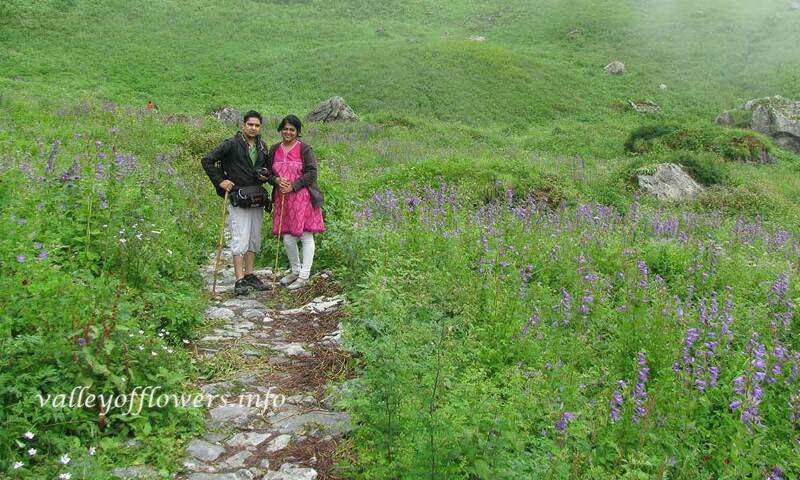 This picture was taken in June first week, 2012. 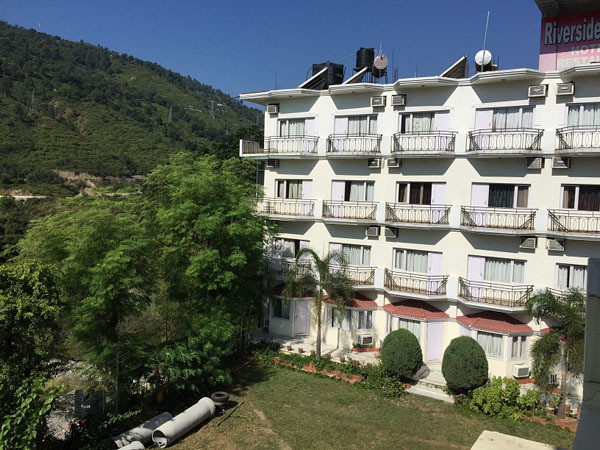 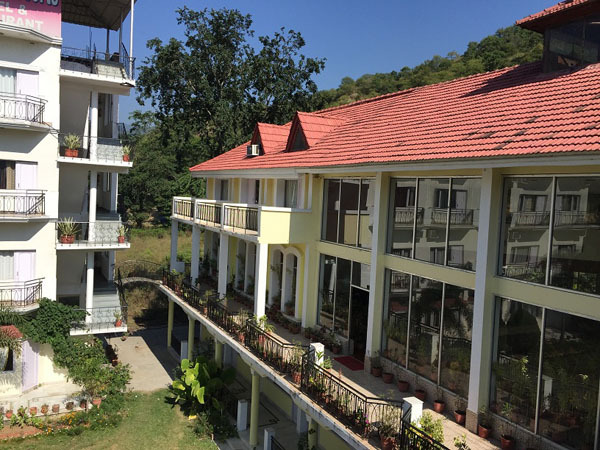 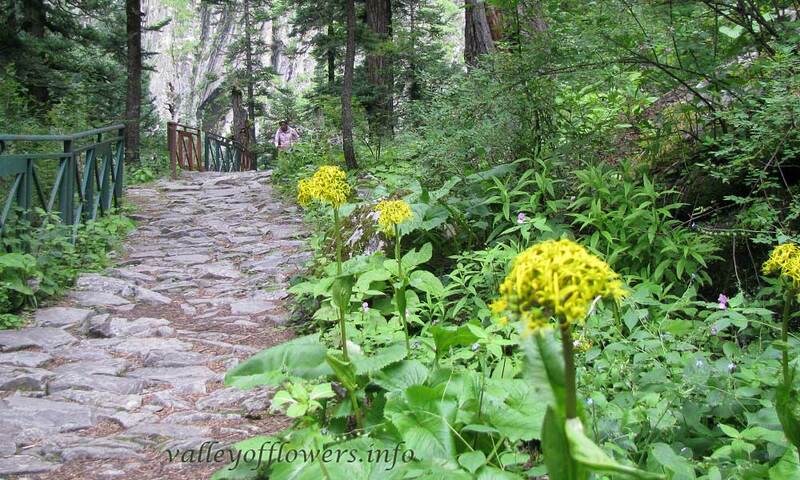 Just after passing through the dense forest near the entry gate of the valley. 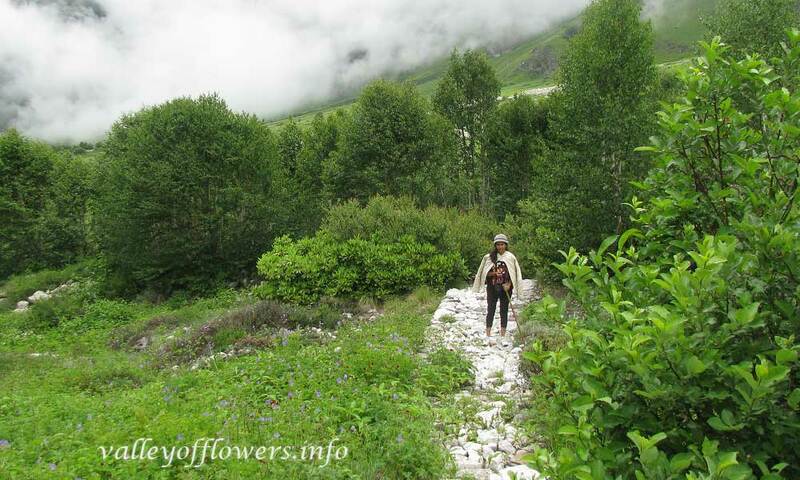 Flowers on both side of the trek, you can see Potentilla and Geraniums on left side. 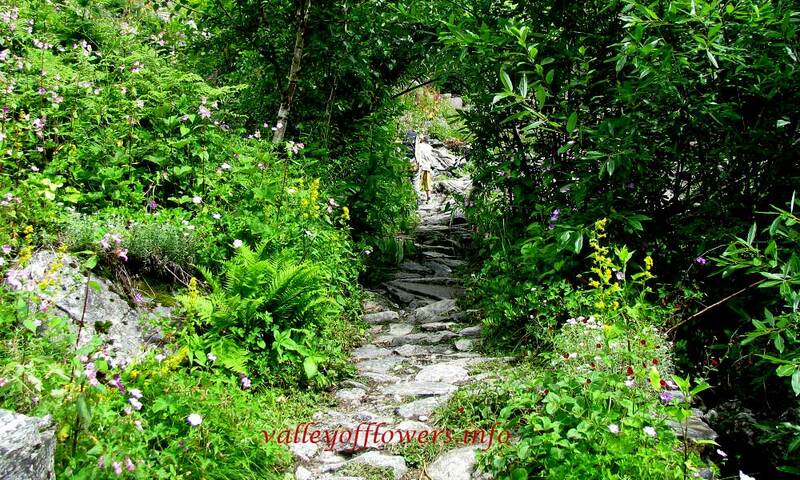 Impatiens flowers inside the Valley of Flowers. 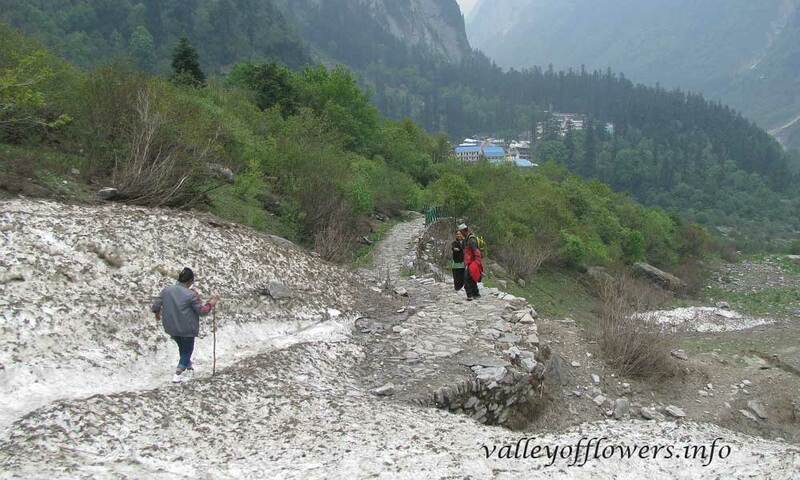 Near the official starting point of the valley. 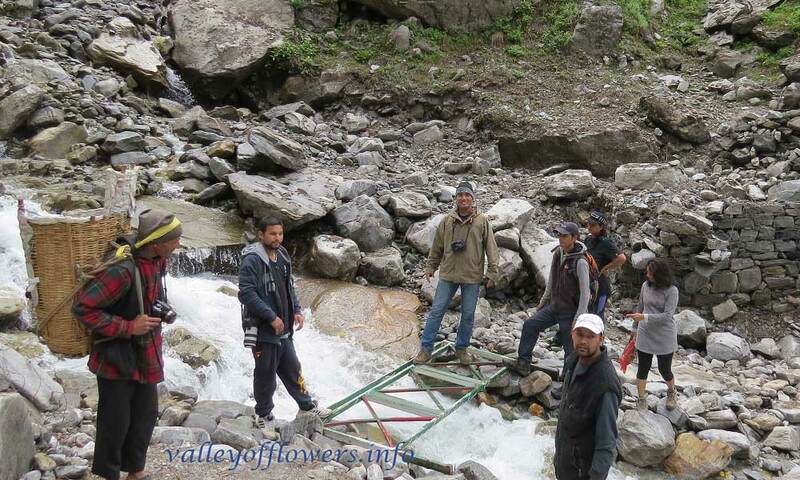 Just after crossing this temporary bridge the valley starts. 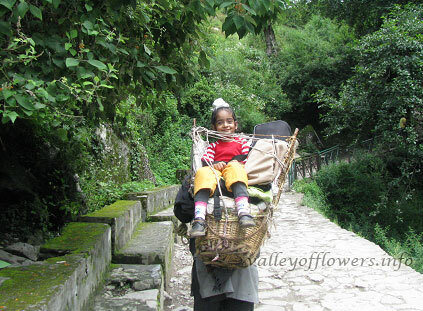 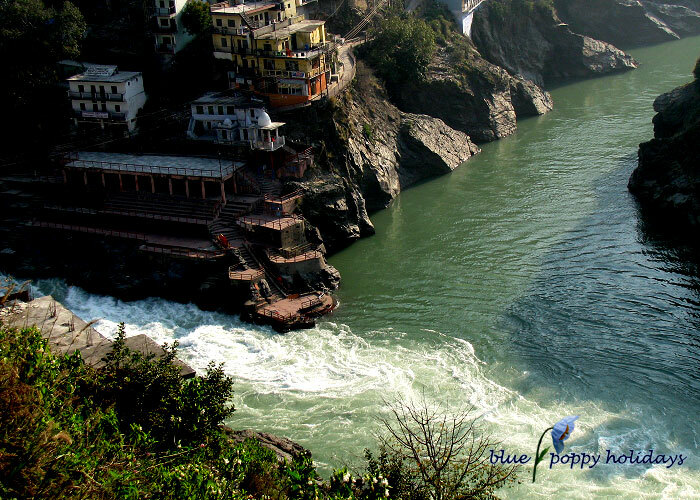 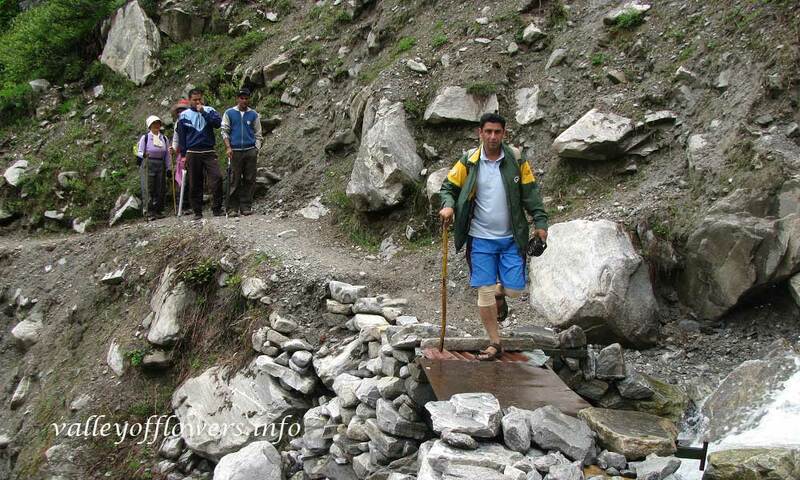 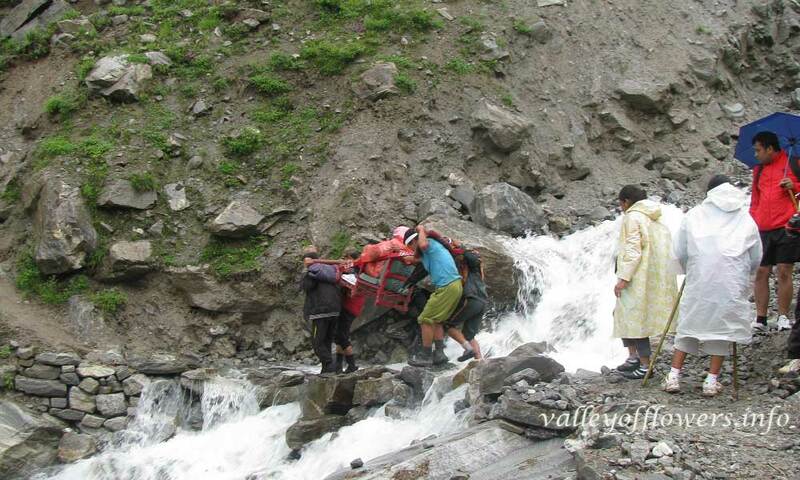 Porters taking a palanquin inside the Valley of Flowers, They are crossing a shallow stream near the entry gate of the valley. 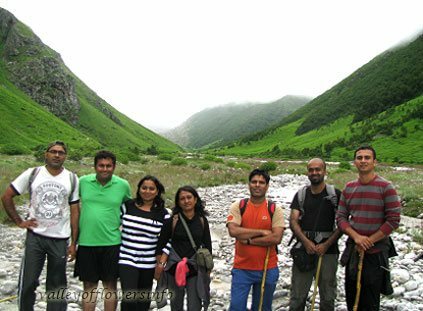 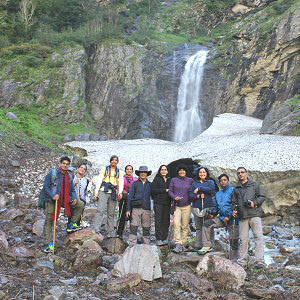 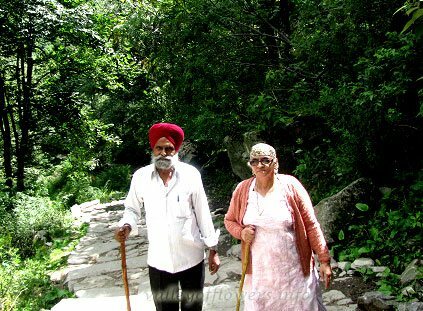 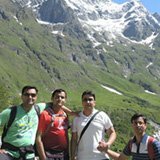 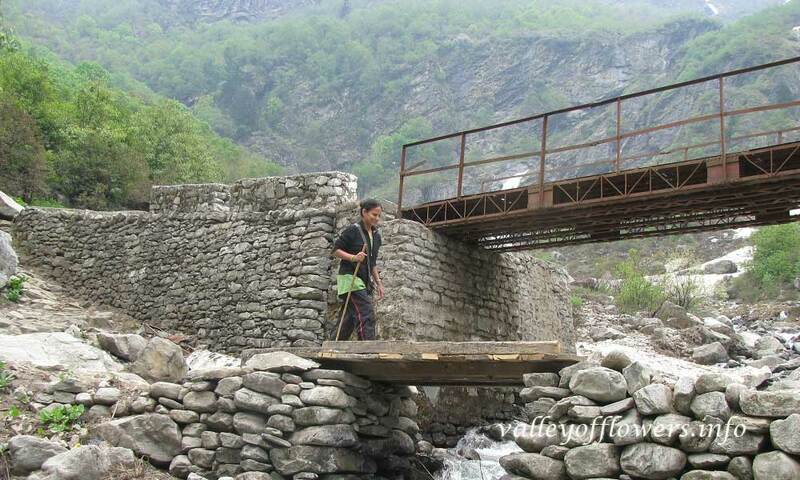 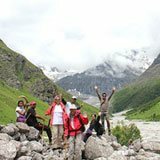 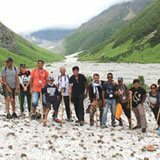 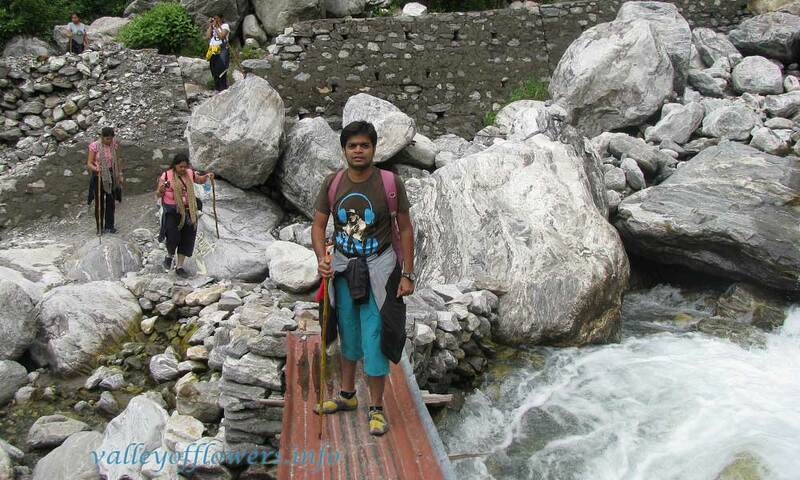 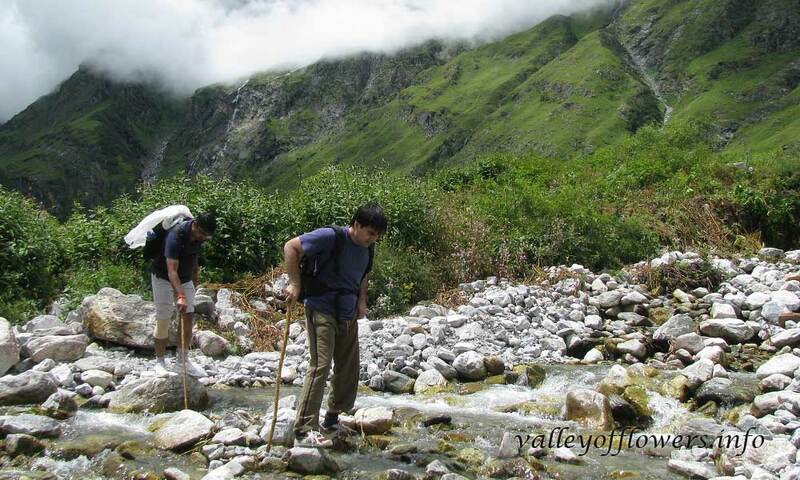 Trek near the Pushpawati river bed. 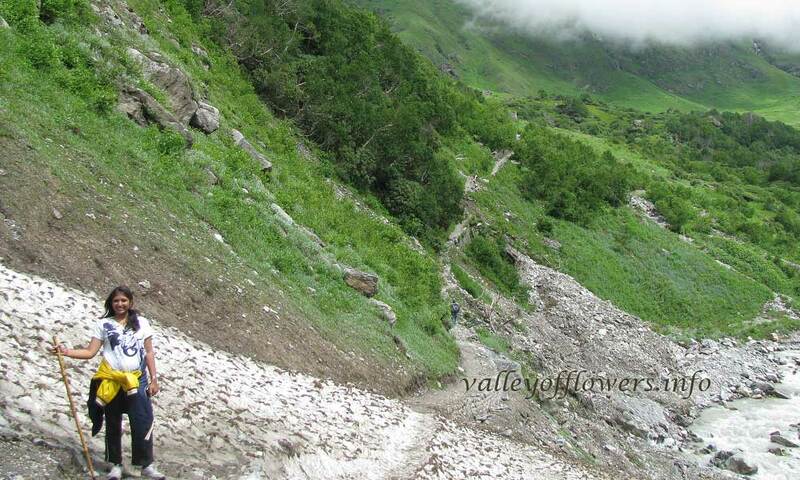 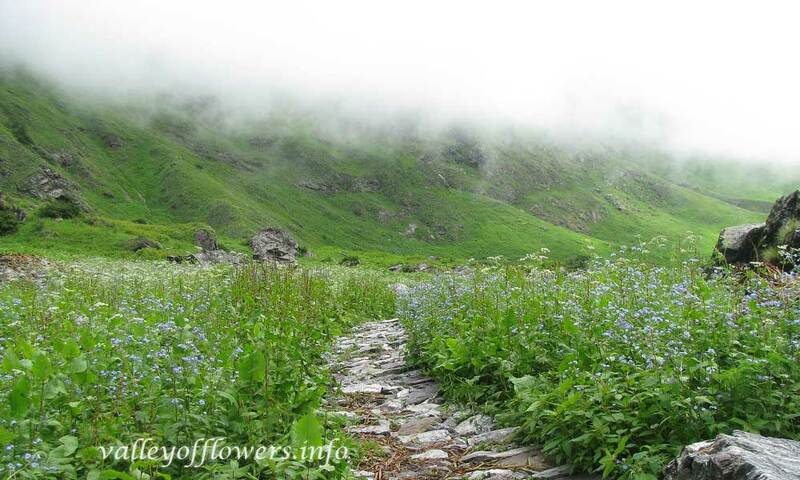 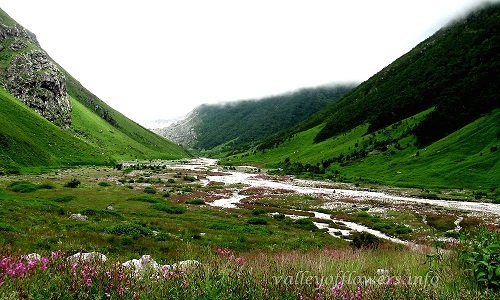 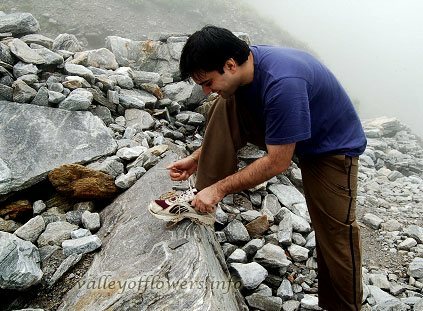 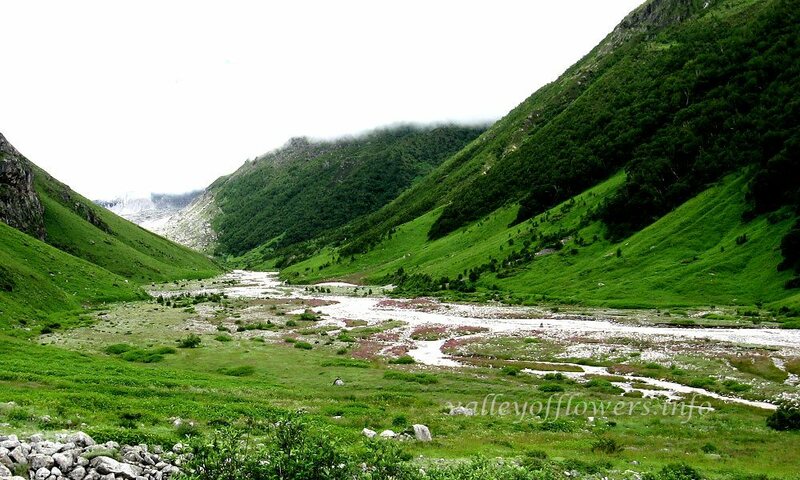 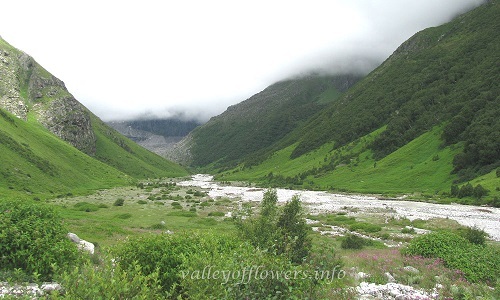 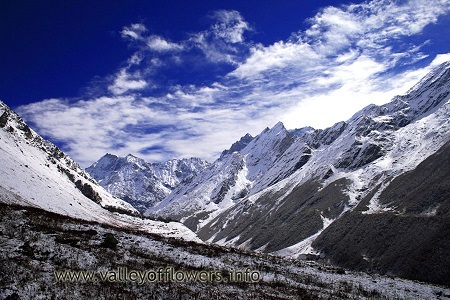 This is 6 km inside the Valley of Flowers. 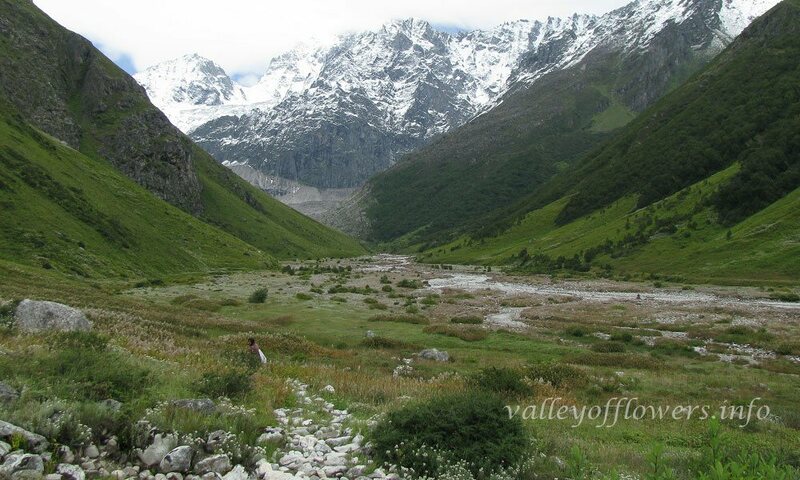 Shallow stream takes place of huge glacier near the entry gate. 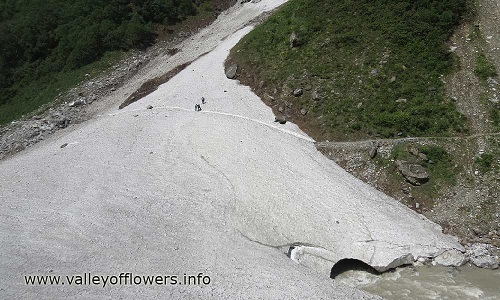 The glacier melts by July end. 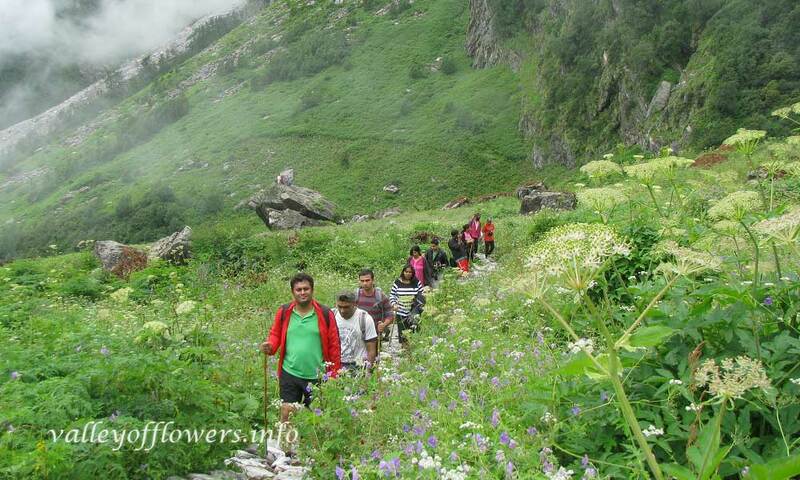 Trekking over the glacier in the Valley of Flowers. 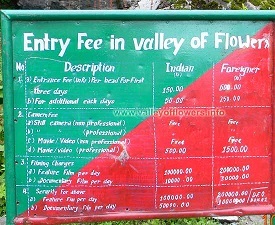 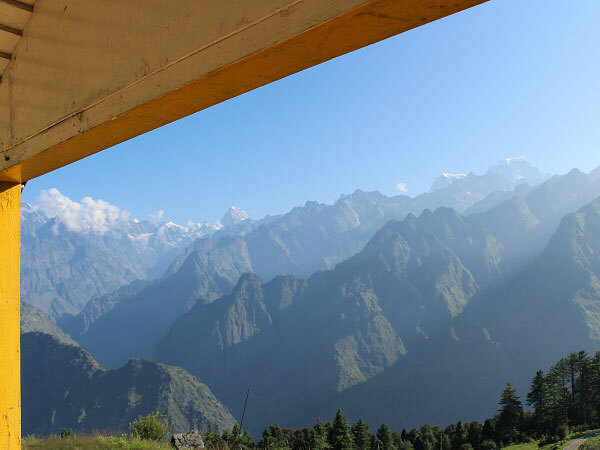 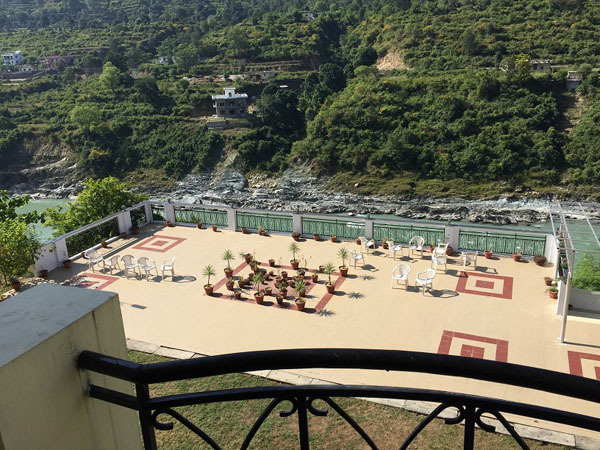 2 km inside the entry gate of the valley. 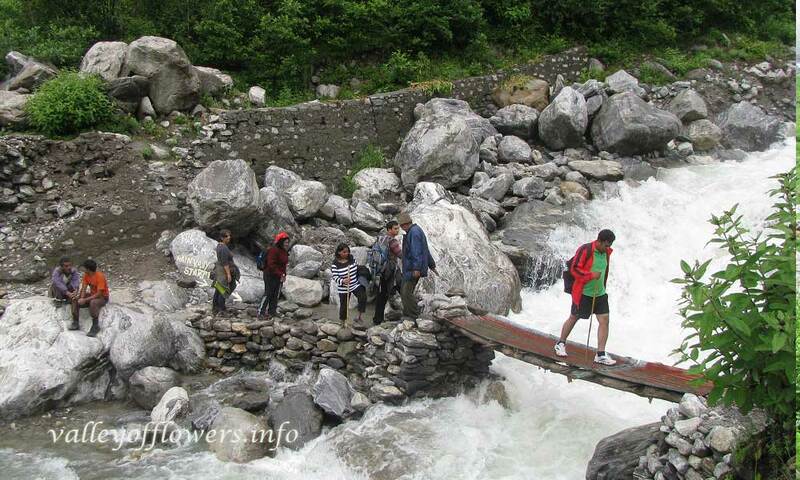 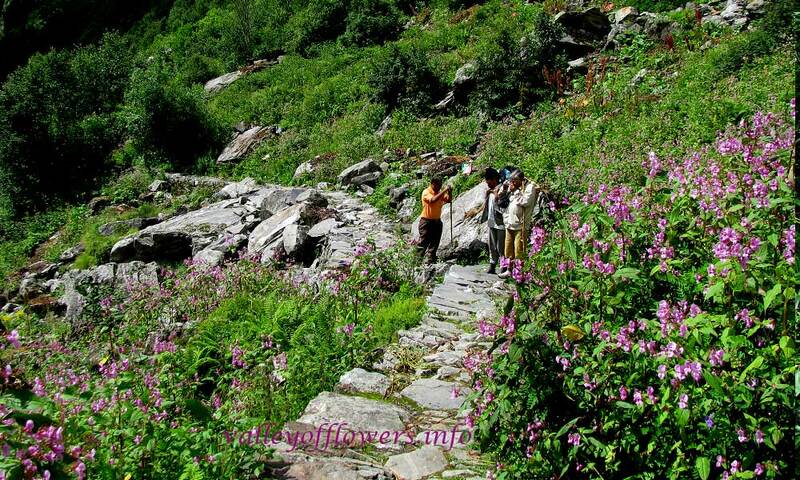 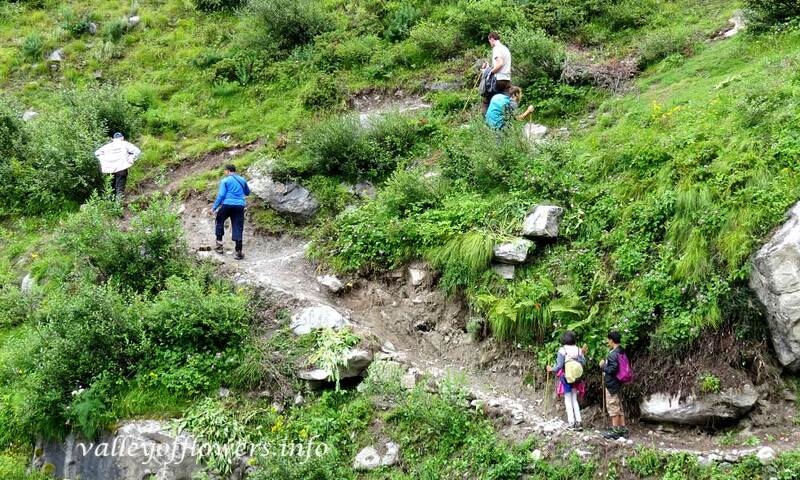 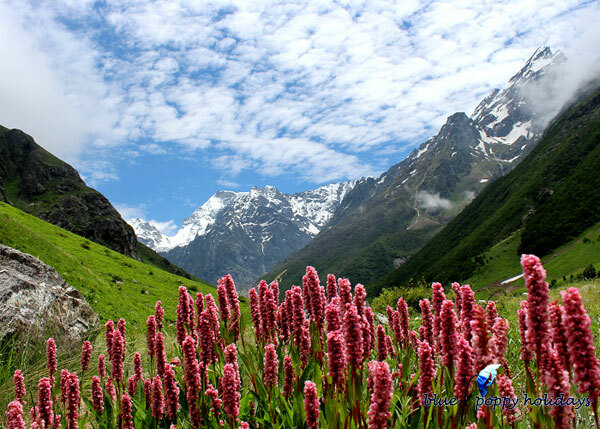 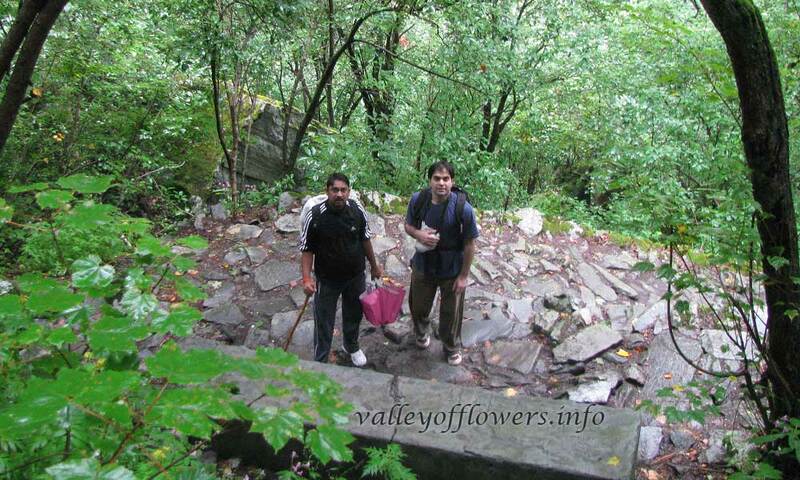 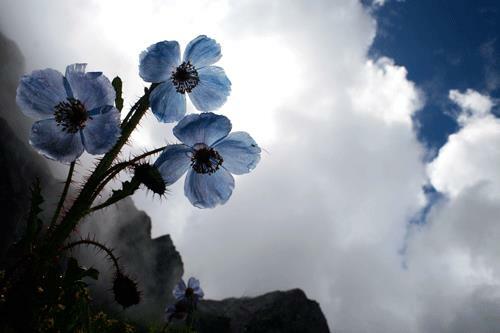 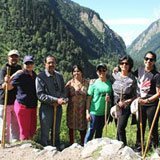 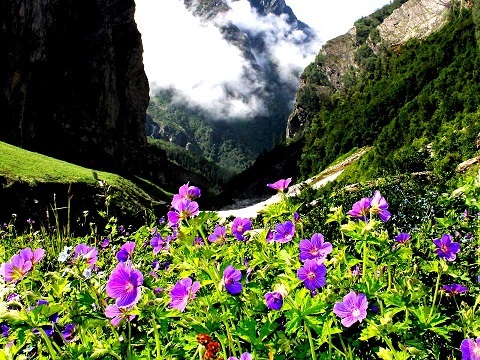 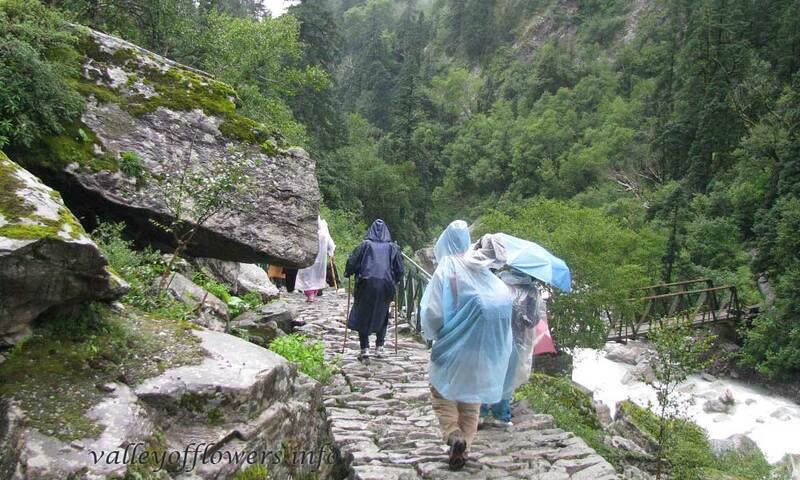 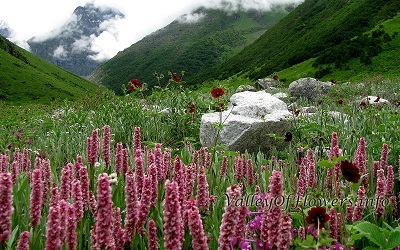 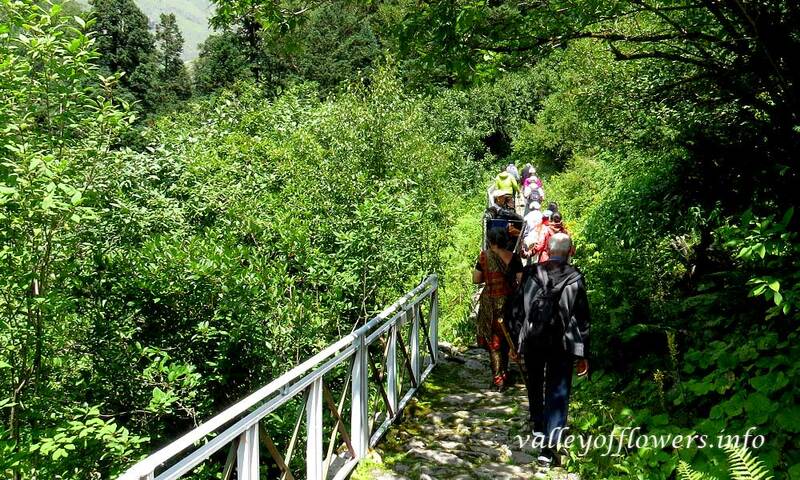 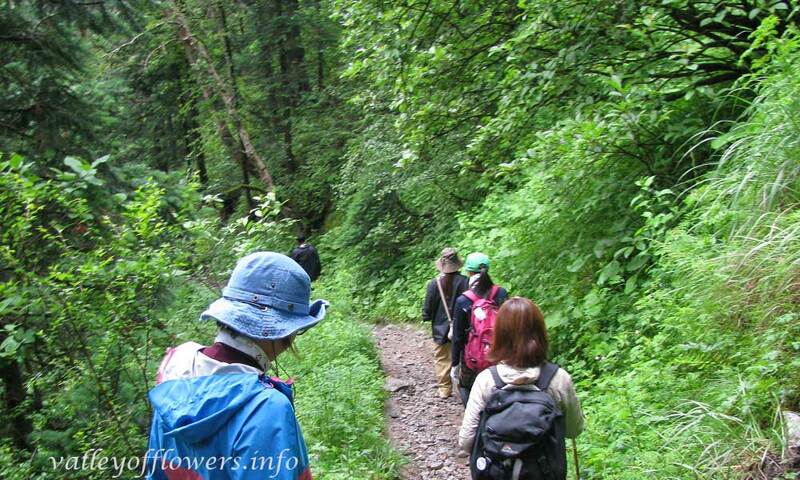 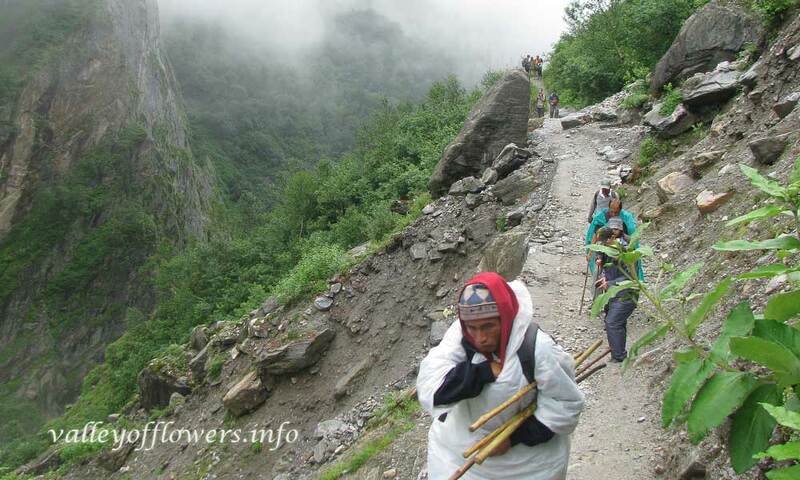 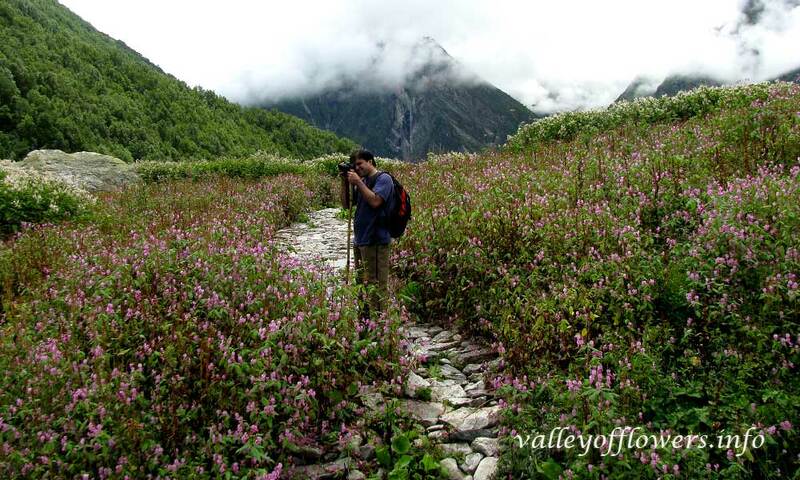 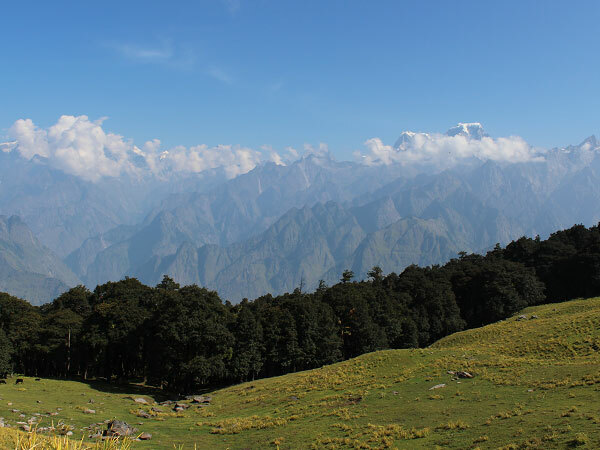 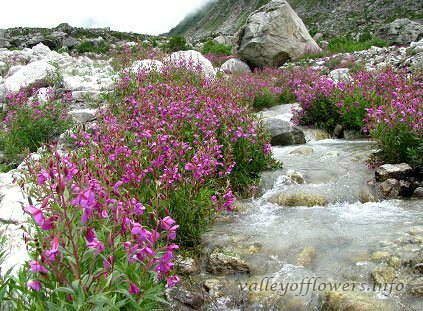 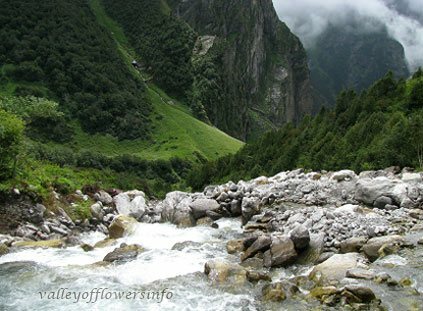 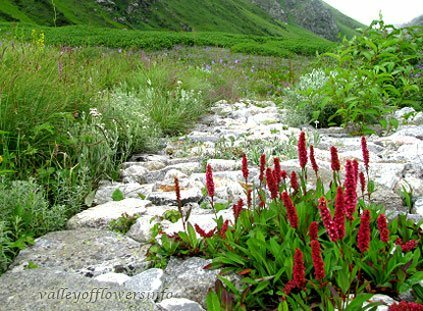 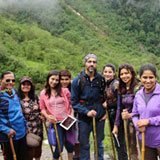 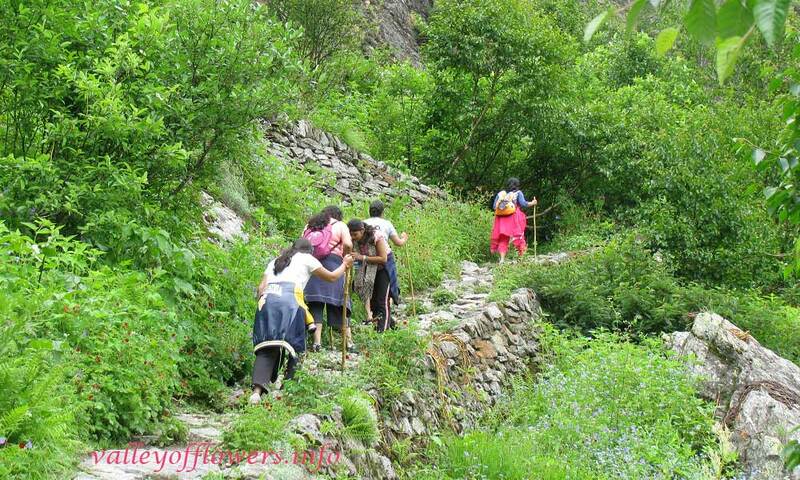 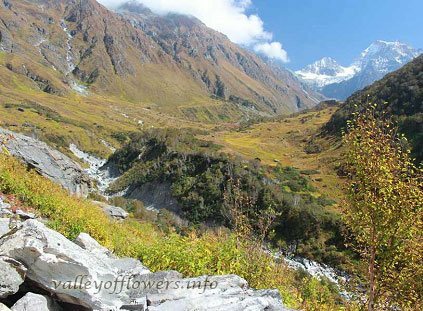 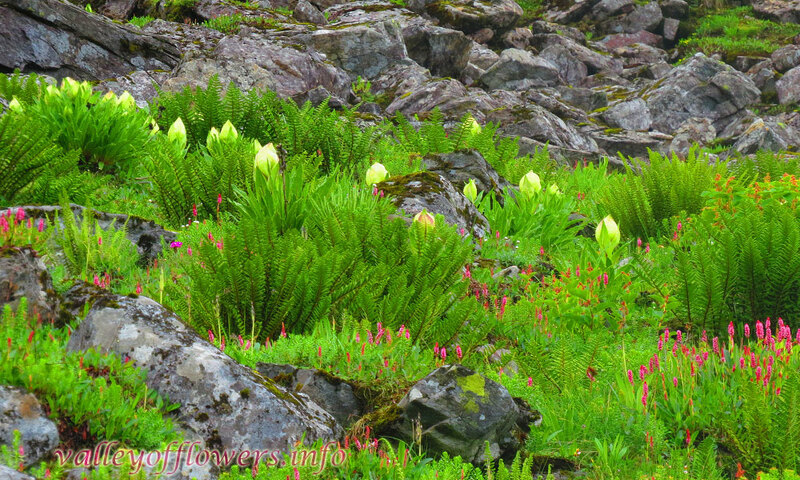 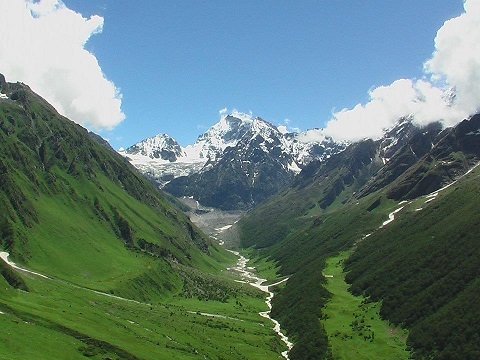 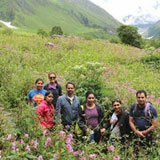 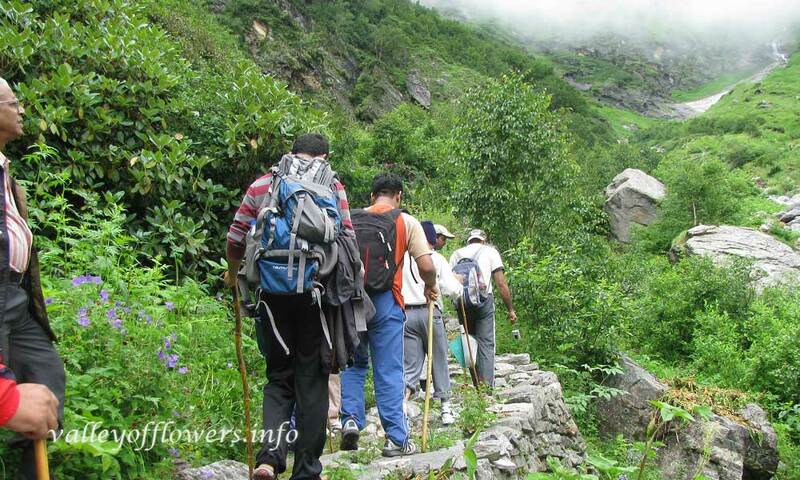 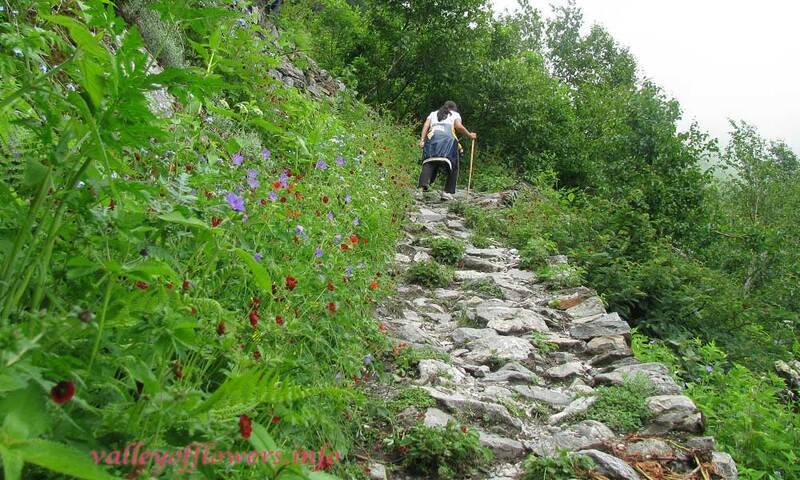 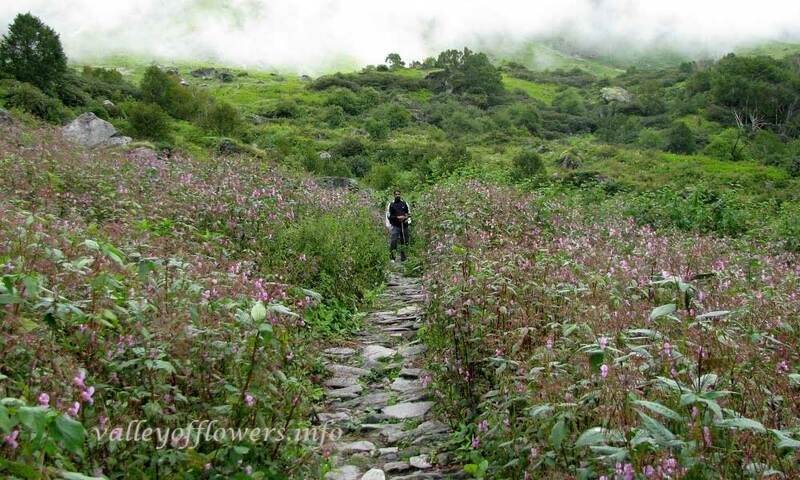 Trek inside the Valley of Flowers. 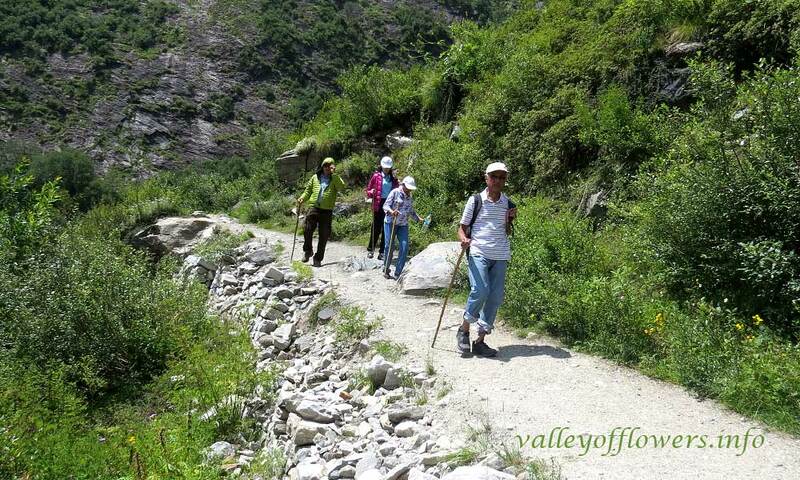 Near the official starting point of the valley. 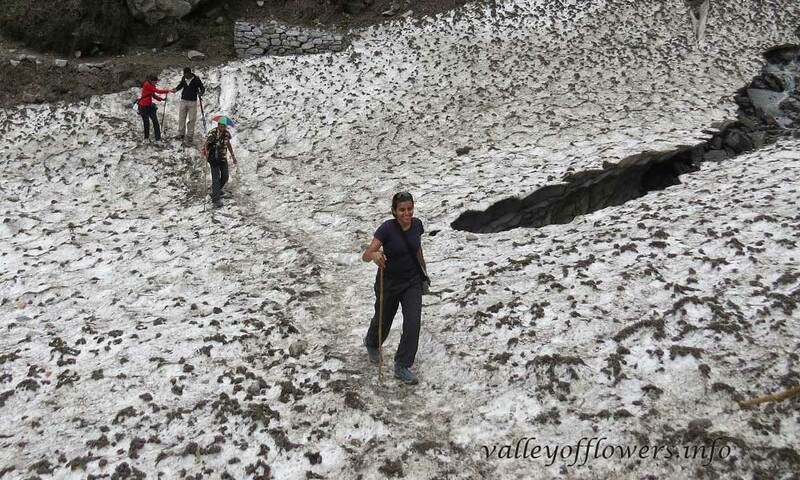 You need to cross some 3-5 such shallow streams, depending upon how deep you go into the valley. 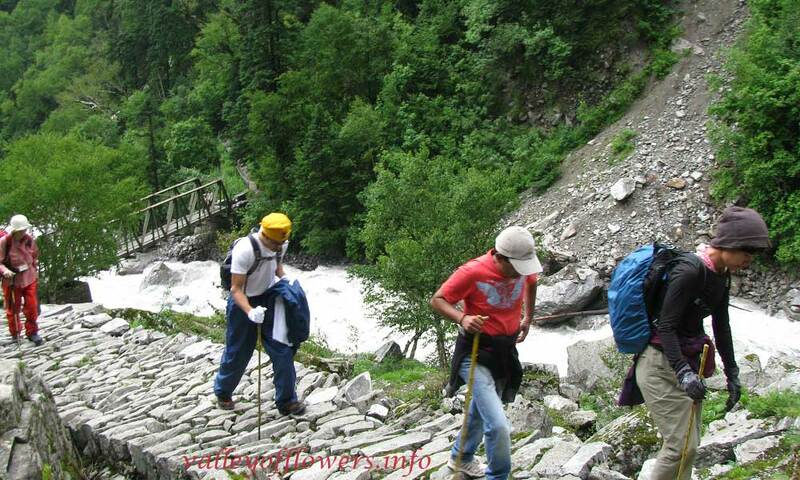 Trek passing through dense forest. Somewhere 1.5 km from the entry gate of the Valley of Flowers. 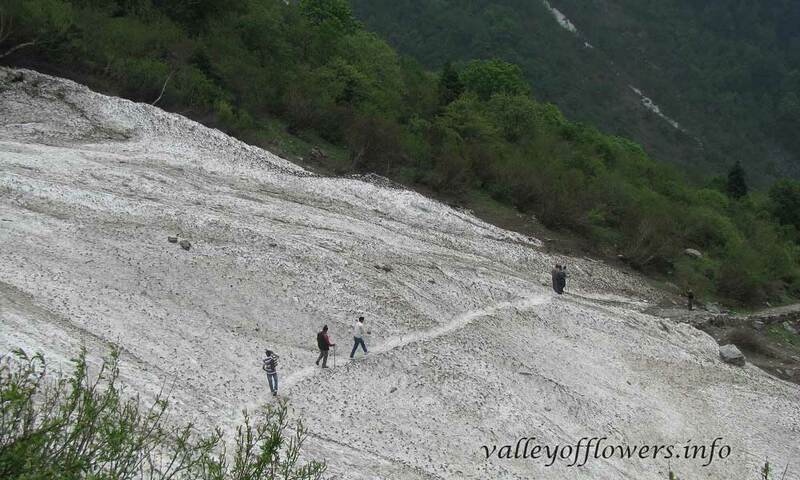 Frozen Glacier near the entry gate of the valley. 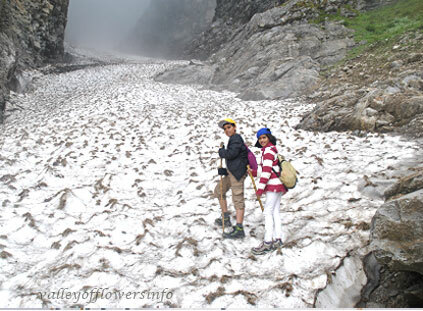 This glacier can be found till mid July. 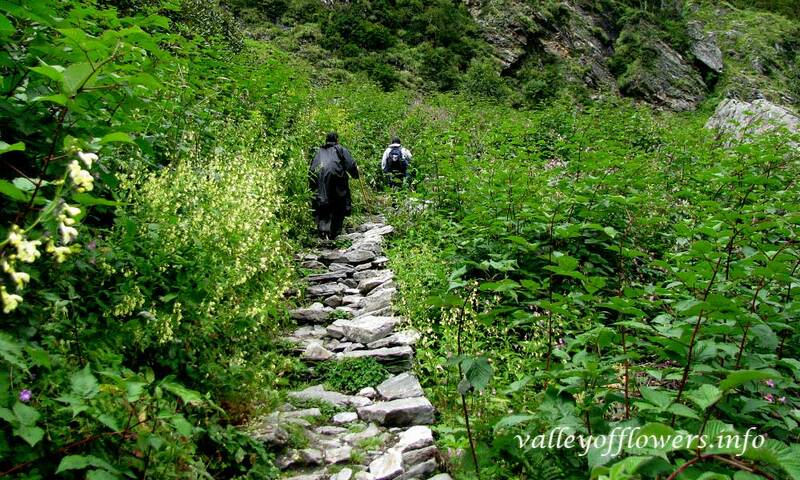 Trek just after entering the entry gate of the valley. 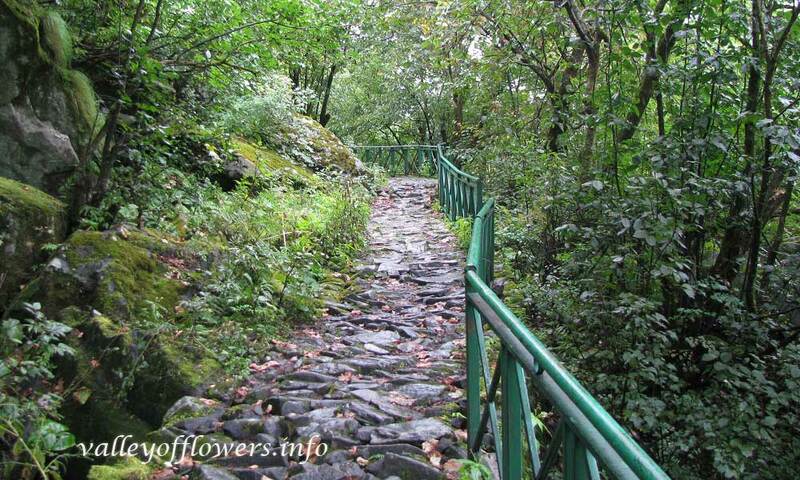 Beautiful dense and humid forest can be seen on both sides. 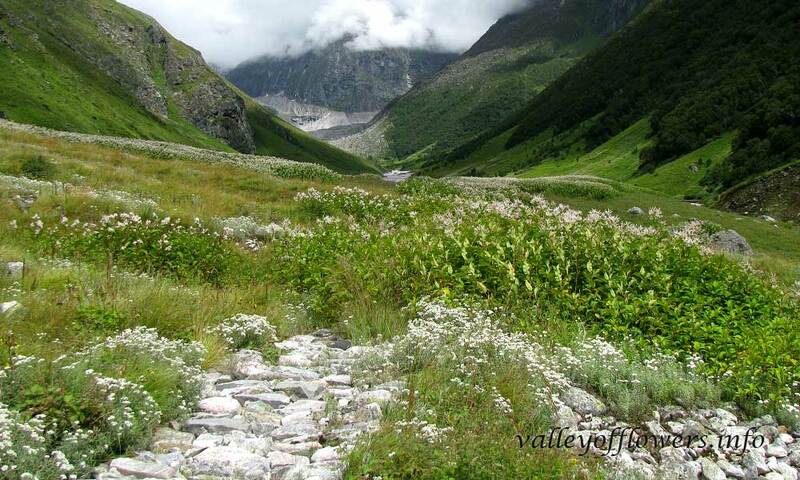 Near the entry gate of the valley, after crossing a beautiful glacier / stream depending upon the date of visit, you will find this type of terrain. 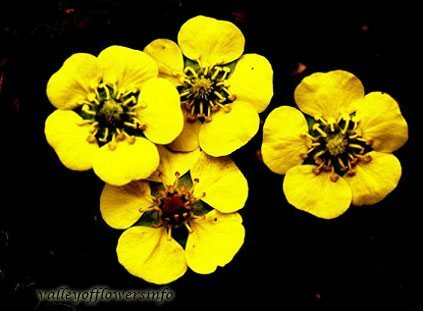 Erysimum hieraciifolium is a perennial herb growing up to 90 cm of height. 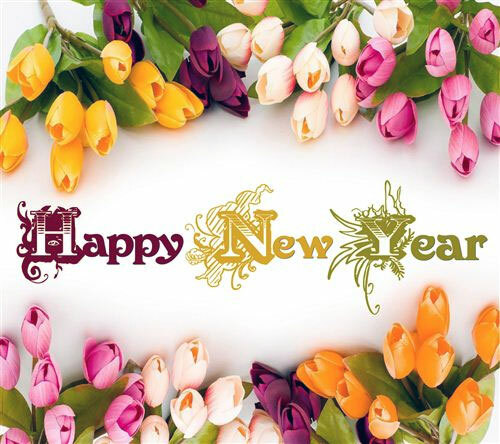 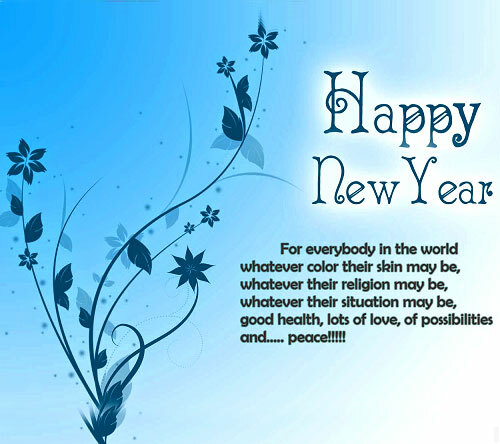 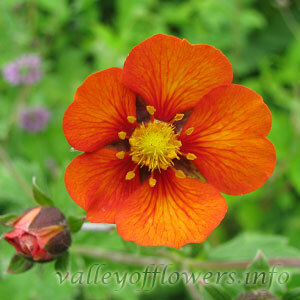 The generic name is derived from a Greek word Erythros which means red refers the color of flowers. 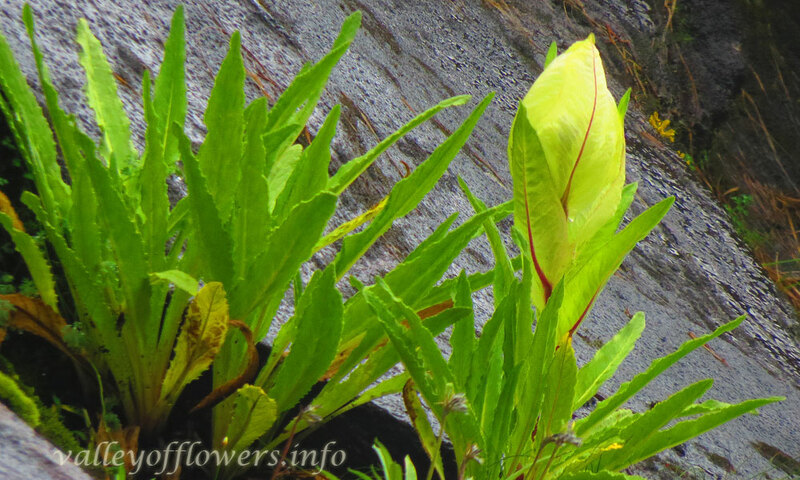 The species name is derived from the word Hierax which means Hawk. 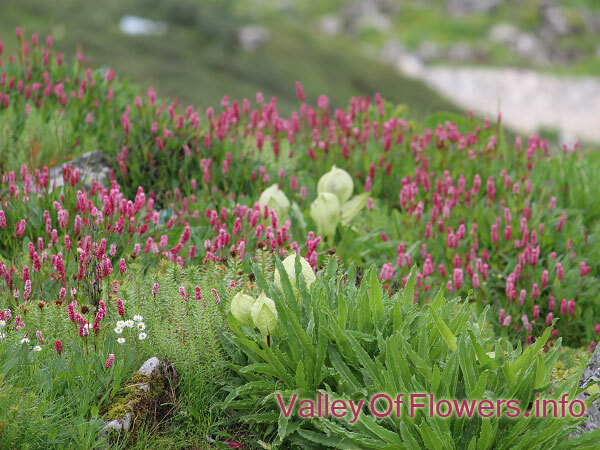 It means the Erysimum hieraciifolium have the leaves like that of a plant called Hieracium. 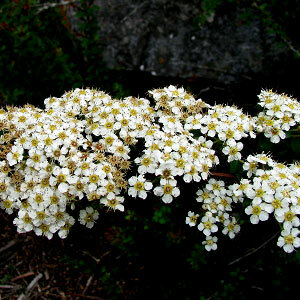 Roman naturalist Pliny believed hawks fed on Hieracium. 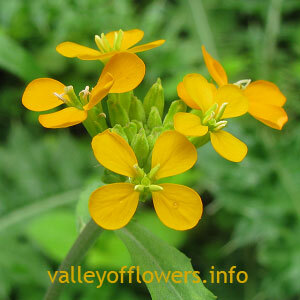 Flowers of Erysimum hieraciifolium found in Valley of Flowers are of orange yellow in color.